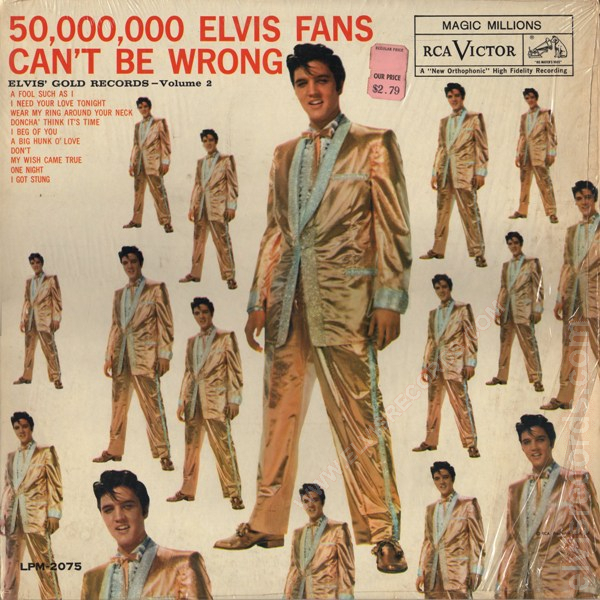 Cover Back: Only a portrait of Elvis. 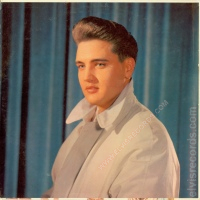 No words. 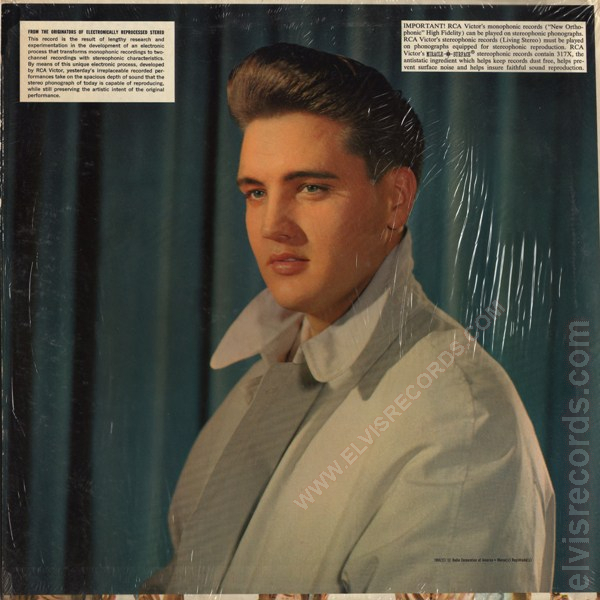 Cover Back: A portrait of Elvis. With or without two white boxes on each top corner with information. 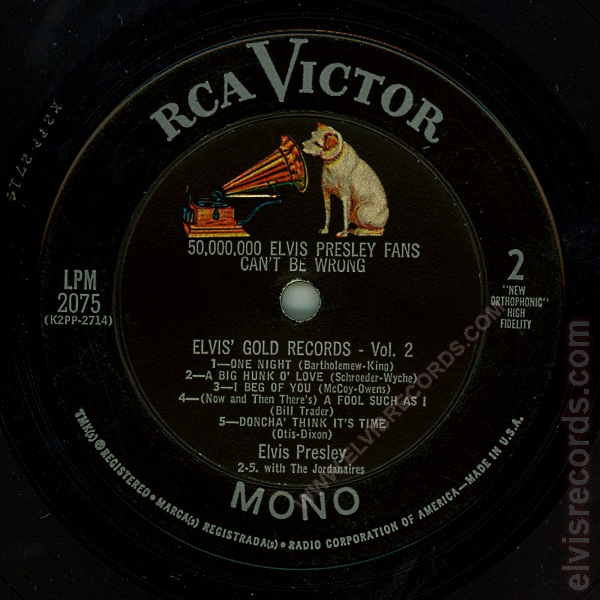 Copyright info on lower right corner. 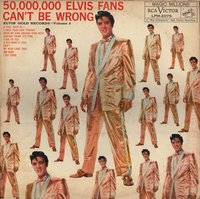 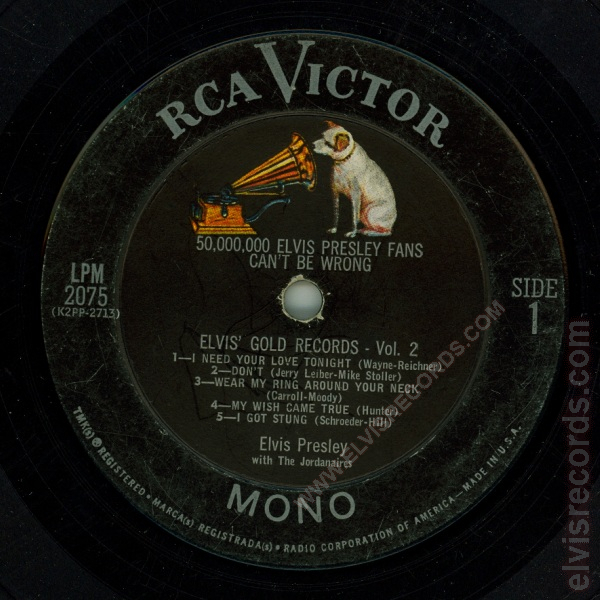 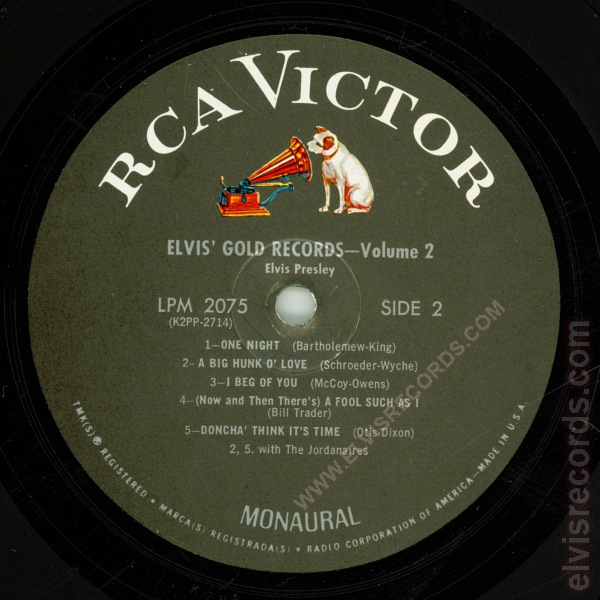 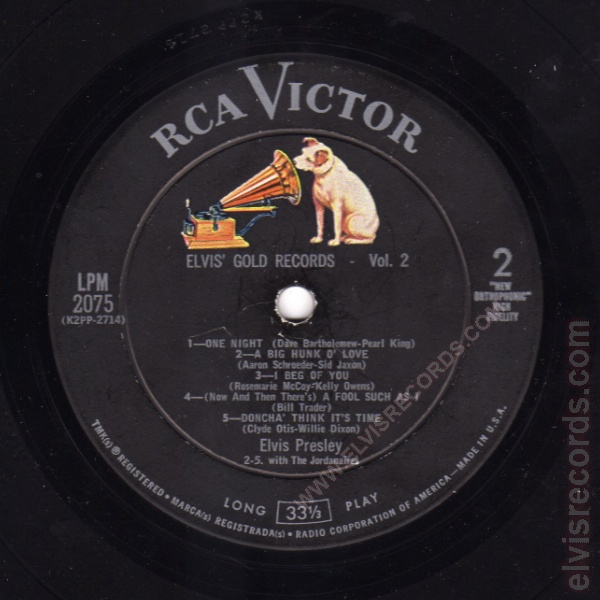 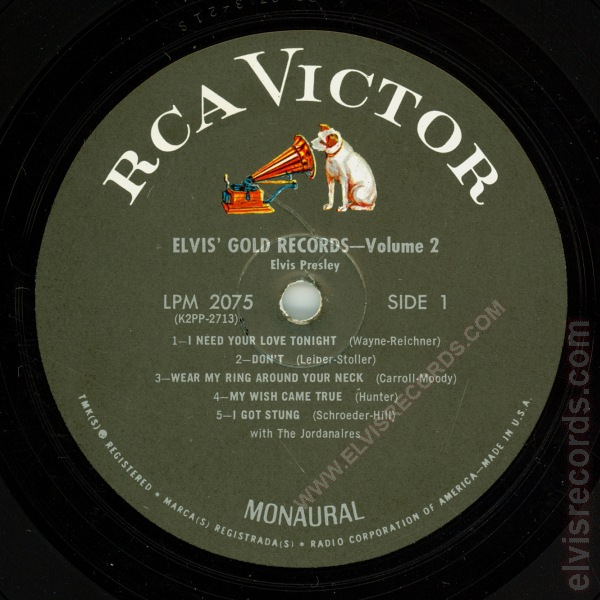 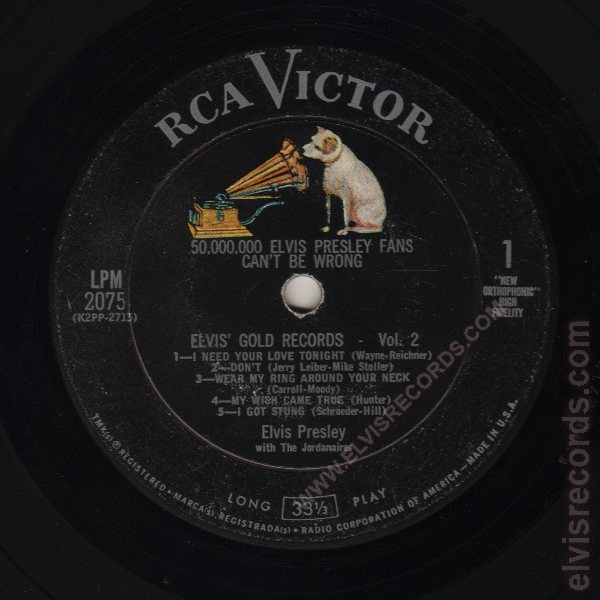 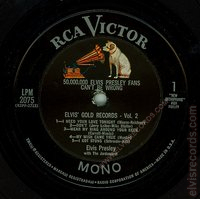 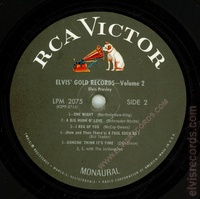 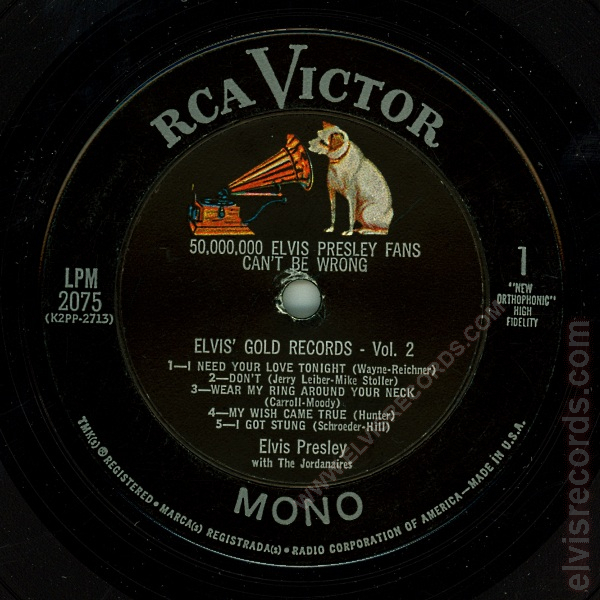 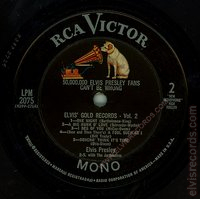 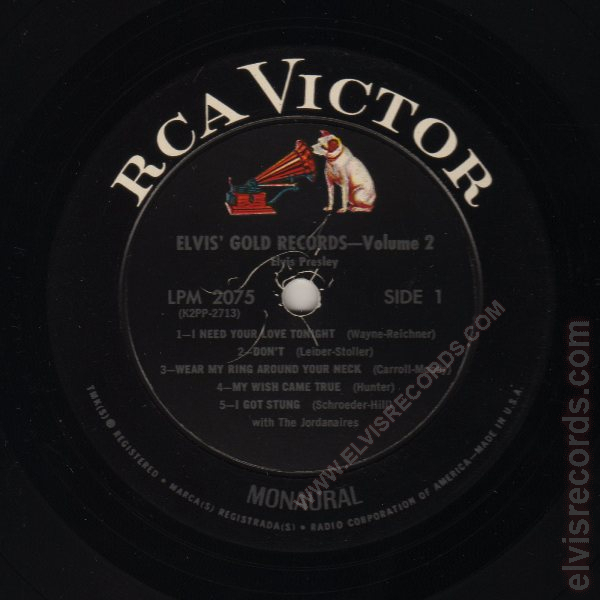 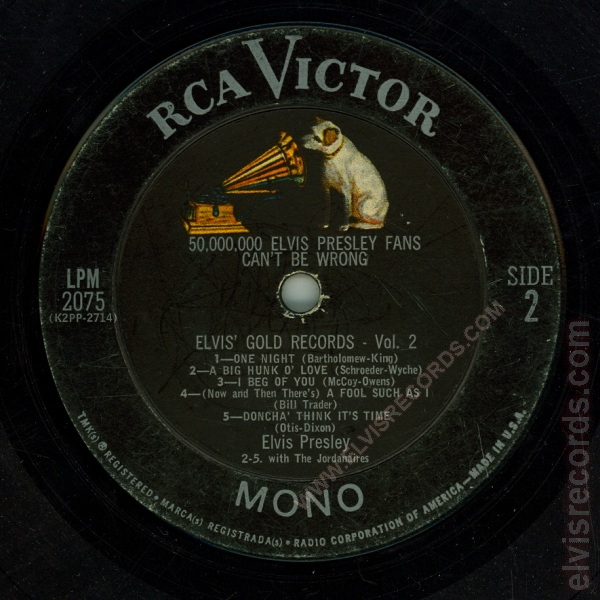 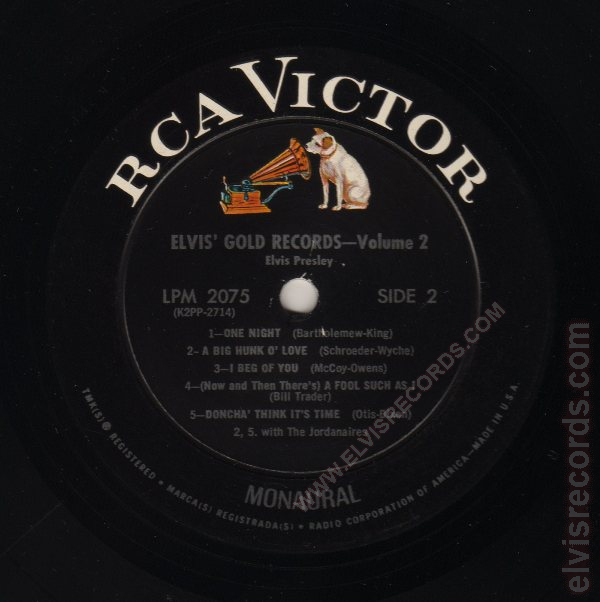 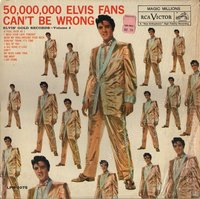 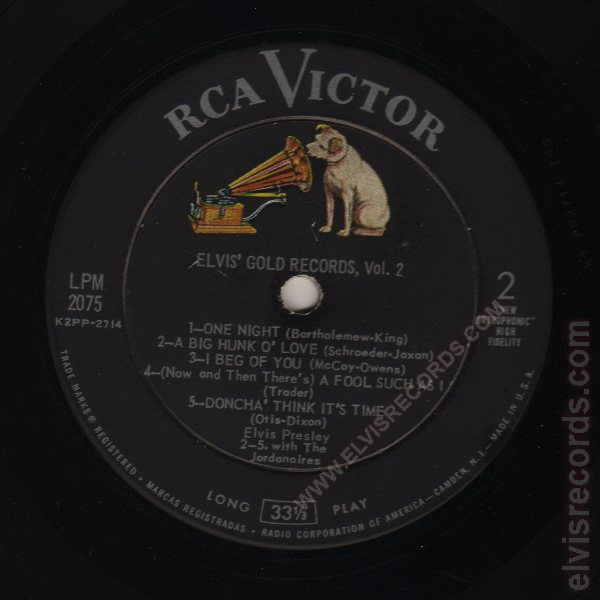 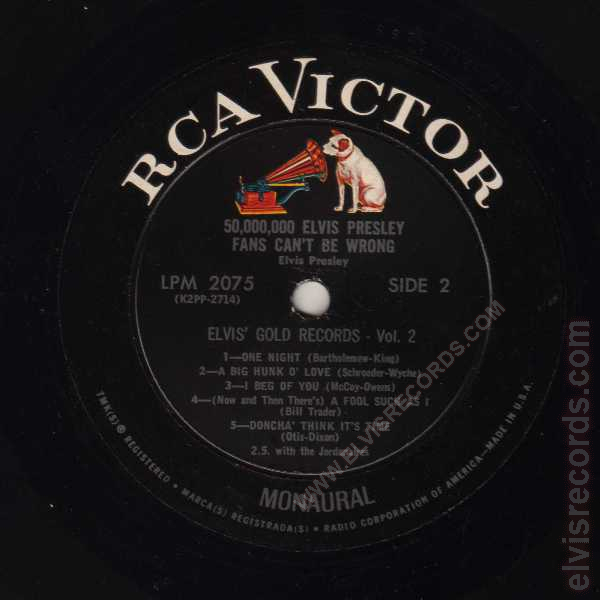 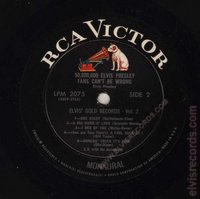 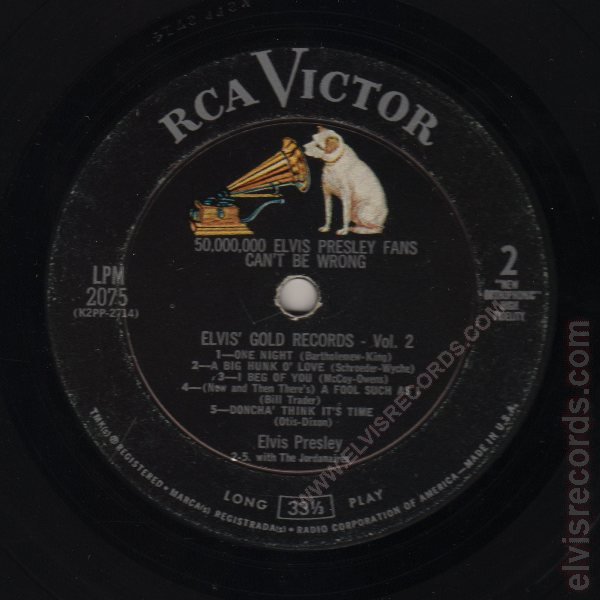 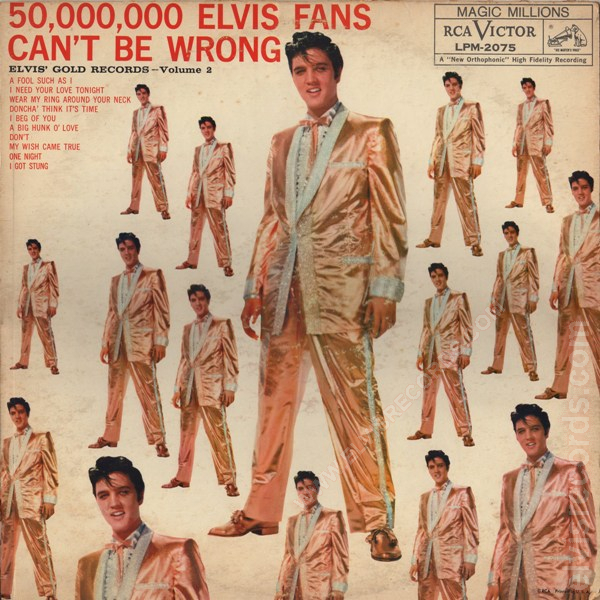 Re-released in electronically reprocessed stereo as LSP-2075 (e) 50,000,000 Elvis Fans Can't Be Wrong, Elvis' Gold Records, Volume 2 in 1962 and in digitally remastered mono as AFM1-5197 50,000,000 Elvis Fans Can't Be Wrong, Elvis' Gold Records, Volume 2 in 1984.